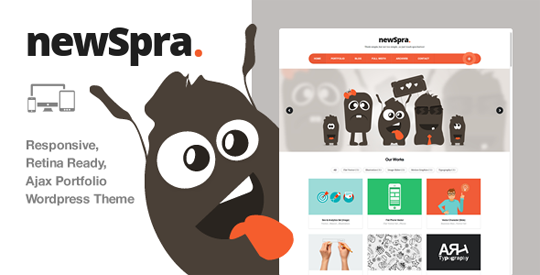 NewSpra is a responsive , retina , ajax Portfolio WordPress theme which you can use for your personal or corporate websites. You can showcase your portfolio in classy filterable portfolio site. The theme is retina ready and Translation Ready (.mo/.po) and comes with very easy to use wp customization panel.